The Return is anchored by Chen Tianxiang’s quietly dignified performance. Chen, a veteran actor who began his career on Rediffusion radio plays, takes his first leading role in this film. Wen is caught in between the past and the present, fighting an ongoing battle to reconcile the two. 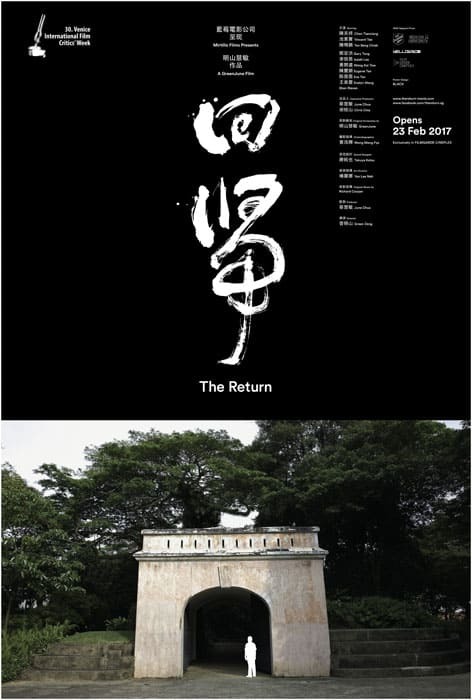 We see modern-day Singapore through Wen’s eyes: in one scene, he looks upon the Fort Canning Tunnel, which the Old National Library Building was demolished to make way for. In another, he stands beneath the Nantah arch – the Chinese-educated students of Nanyang University made up a significant proportion of anti-government protestors in the 1960s.